League of Angels, the award winning browser MMORPG from GTArcade, has two exciting announcements to make! Most players know mounts are an integral part of LoA. They provide crucial stat bonuses, mighty buff skills, and most importantly, they look awesome! 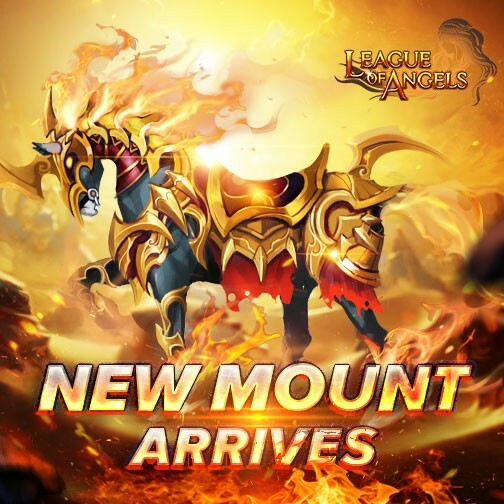 Now League of Angels is taking mounts to a whole new level with two epic new additions! Introducing Warhorse, the most fearsome horse to ever grace LoA! We asked LoA players whether Warhorse would be considered a dark horse if it appeared in the Equestrian events of the Summer Olympics, and most gave a resounding “Yes”! And it’s easy to see why! With it’s majestic bladed armor and fiery mane, it would certainly have the Olympiads staring in awe. With a stunning appearance that allude power and status, the rider of Warhorse will become the envy of their peers! And besides looking like a mount befitting of the gods, Warhorse provides the highest stat bonuses in the game and a powerful Glamour skill, Thundering Horse, which increases your party’s attack and defense by 7.5%! Ride like a true champion with the mighty Warhorse! For players who perfer something a bit more headstrong, look no further then Golden Ram! 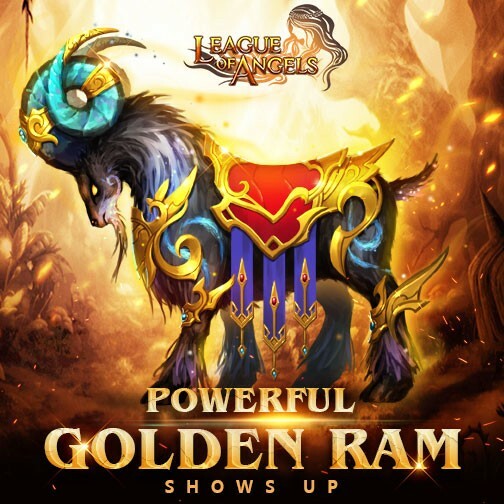 As the evolution from Violetspirit Ram (which is evolved from Darkspirit Ram), and LoA’s first ever 3rd evolution mount, you can bet this Ram has the looks and power to prove itself! Materials for all the new content can be acquired from game events. Please keep an eye on the LoA official website for more details. Play the best free to play browser game today and discover the epic world of magic and mystery in League of Angels!